Debt-laden Jet Airways' lenders Thursday said they would invite bids for selling the stake in the airline on April 6 as part of a time-bound resolution plan. 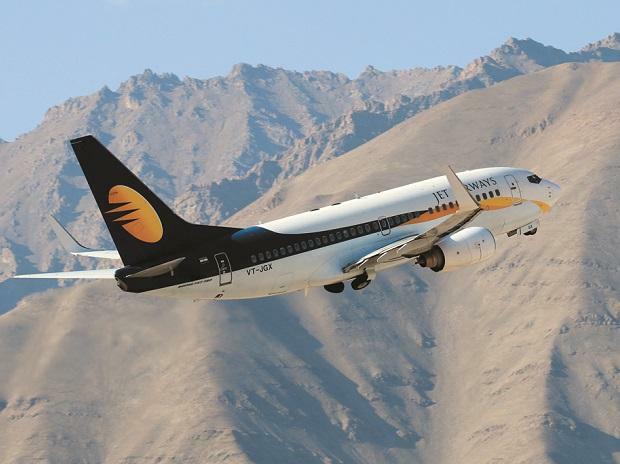 The consortium of lenders, led by State Bank of India (SBI), took stock of the current situation at cash-strapped Jet Airways and decided on the timeline for the stake sale. The bids would be invited on April 6 and the last date for submission would be April 9, the lenders said in a statement. "The lenders are cognizant that the outcome of the efforts of the lenders will depend on the interest shown by the parties on the sale of a stake in the company," it said. While all efforts would be made for the stake sale, the lenders said other options "may be considered" should these efforts not result in an acceptable outcome. As part of the debt resolution plan, lenders have taken control of the ailing airline.